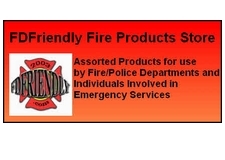 FDFriendly.com is an authorized distributor for the fine line of 343 Fire, Lakeland Reflective Apparel and the Radians. The entire product line of all suppliers is available through FDFriendly.com. Select items are featured and illustrated on this site and can be purchased based on pricing as shown. Call for quotation on volume purchases. Call 610-584-4996, fax 610-584-6304 or email Ch835@aol.com for information on customizing your garment with depts names, numbers, etc. Ship dates shown on individual items are estimates. You will be advised based on inventory at time of order. Click on Reflective Vest, jumpsuits, tees. etc. to see the full line of reflective apparel. 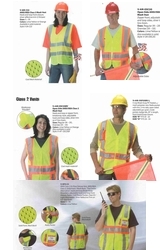 These high visibility vests meet the new national standards for Public Service. 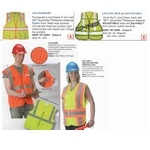 All vests shown have the following features: 5 point breakaway style, 2 mic tabs, Inside pocket, Gro grain trim, lime yellow fabric (solid or mesh - see style descriptions., breakaway. badge tab, front hook and loop closure. (zipper front closure available) 29"
You may be eligible for better pricing. Web site calculate volume discount based by purchase by size. Call if you are mixing sizes as we will recalculate your cost to give you the best price possible.